Hey! 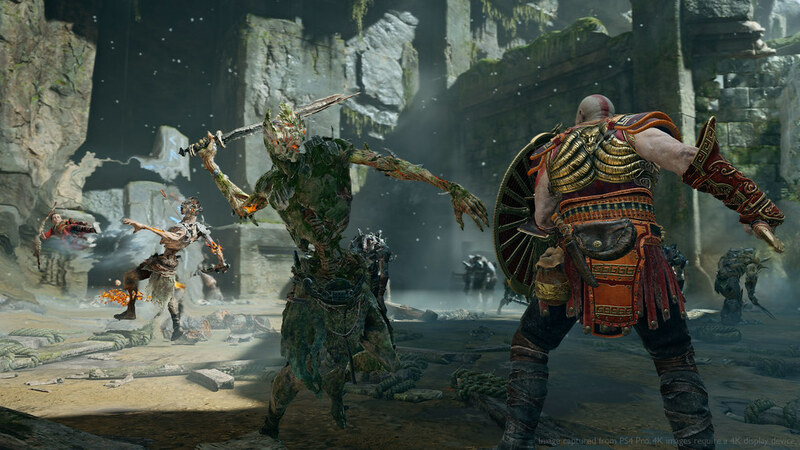 I wanted to share the top reasons to play God of War’s New Game Plus (NG+) mode, which launches today as a free update for God of War owners. This update is our largest one yet, and several of the improvements and features within can be enjoyed in both standard and NG+ playthroughs of the game. We’ve been waiting for you all to see what we have in store! And there you have it. Thanks as always for all of the support and, regardless of whether this will be your first, second or even tenth time playing God of War, we hope you enjoy the adventure! what time does the patch go live? Amazing! This GOTY has just gotten so much better! Thank you Sony and SSM for making this perfect game! For the ones who got EVERYTHING in the game, whose waiting on Asgard to unlocked? I will only reinstall GOW until more trophies comes. So I’m happy with the platinum I got. Thought it was pretty clear when you beat the game that Asgard,Vanahein and Svartalfhein will only be available in the next game.Cannot believe there are people actually waiting on these 3 realms to be unlocked in this game. Nothing about that makes sense. So keep waiting I guess. I’m also excited about Asgard, Vanaheim and Svartalfhein to open and I realize its probably going to be in the next game. However I think making these a DLC would be so much better and possibly more cost effective. I prefer having the disc for many games but if they added these as a DLC I’d gladly purchase the PSN version. Just my opinion. Why are we still waiting for this patch to come out?!! Sorry to hear. Could you reach out to us at sms@sony.com? 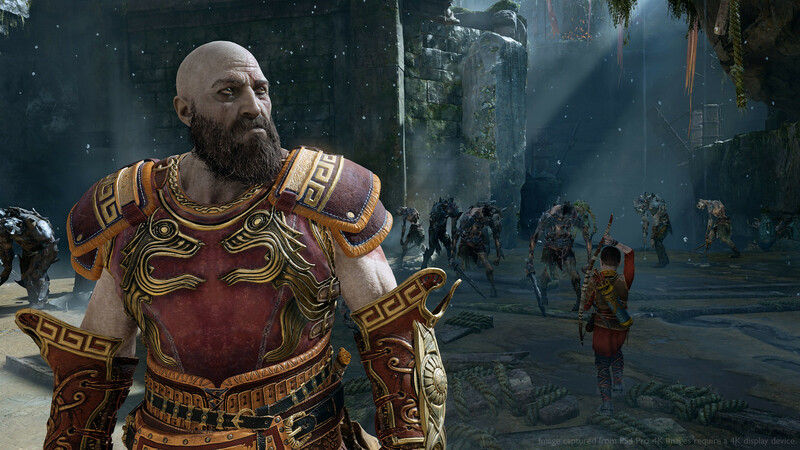 Hey lordofmandan – could you send us more info either on Twitter @SonySantaMonica or visiting our studio website? Nicely done Santa Monica hope the patch ain’t much big and please confirm that GoW will never get new trophies…that would be wonderful. Does anyone know if saved games from the disk-based version of the game are compatible with the PSN version? If I buy the PSN version do I have to start over? Digital and physical copies of a video game are the exact same, one just doesn’t require the disk. So yes, you’re save data will work. You can’t say that as a blanket statement, as many Playstation games internally treat the disk and PSN versions as different titles – one can’t read the other’s saves, and you can even get trophies for each version. I want to make sure that’s not true for God of War before I plunk down cash for the PSN version, when I’ve gone quite a way through the disk version already, but don’t have the disk any longer. I’m not sure if the files consistently transfer but I used to have a physical copy of Infamous: Second Son and redownloaded it digitally when it was free for ps plus users. After booting the game it just loaded into my old save files like normal. After beating the game I started a new game. In doing so, did I lose my ability the play the new NG+ mode retaining all weapons and items or will the new patch identify my prior progress and restore my weapons and items? damn it now i have to buy it again. Thanks for all your hard work! I did my first playthrough on Give Me God of War and it was so freaking hard. I think this time I’ll do NG+ on Normal. I’ve alrrady proved myself! Heck yeah dudes!!!!!!!!!!! I LOVE the NG+ Mode! This sounds D’s like a stilod question but … For instance if I am missing some of the Ravens from my original play through if I get the ones I missed on the ng+ will it count towards my throphy ?? If New Game Plus isn’t showing up after you updated do I have to rebeat the game over since I started a new game already on there. this is awesome! Thanks for all your hard work guys!! I downloaded the update, and have beat the game twice (pre-update) and found different items during play through… so my question is, when I start new game+, are both previous saves transferred?? I downloaded the update, and have beat the game twice (pre-update) and found different items during play through… my question is, when I start new game+, are both previous saves transferred?? Or do only get items from specific saves? Recommend playing this game 100%, defiantly one of the most fun and best games I’ve played!! I completed story mode and restarted before the new patch was even announced. Can I still play new game+? How do we download/add/play this? Do you have to complete it once first? I have found nothing about it……. I’ve finished the main story of the game and have since started again on a harder difficulty. Game plus mode is not available for me for some reason. After I beat new game plus on give me god of war mode and replay new game plus again. Do the shield skins for beating it transfer over to the next play through of new game plus?